Boysenberry Bush is a lovely plant. The wait for the slow-growing time is worth it. It will thrive in any soil conditions your landscape may have. The fruit this shrub produces is similar to that of a blackberry and can be used to make many delicious treats for you and your family. Just make sure to give this plant room to grow and spread. These small shrubs are a wonderful perennial that grows back each year. 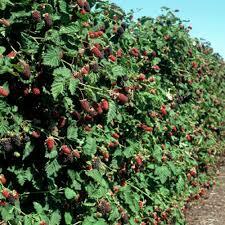 They provide delicious berries that can be eaten right from the bush and homeowners and families love them. They are amazing when picked and used to create delicious desserts such as pies, cakes and also jams and jellies. These plants are very easily grown and takes no special care. They provide a very natural look when building, and they also produce lovely and gorgeous white flowers during the spring that later give way to the delicious berries that it brings. These small shrubs also are great to bring in little wildlife. Squirrels, chipmunks, and other small animals love to feast on these berries, and they also attract a wide variety of birds that also think they are delicious. These berries are a blue when ripe, and they offer a very sweet taste to them when they are ready to be harvested.The beautiful boysenberry resembles a massive blackberry when mature. While their growing season is short, the flavor is worth enjoying from May to June each year. 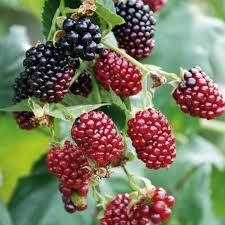 Growing your boysenberries ensures that you can enjoy an excellent supply of the juicy berries each year. Boysenberries must be used as soon as they are ripe because they begin to decline in flavor within a day or two of becoming ripe. The boysenberry bush is self-pollinating. It ripens in late July. 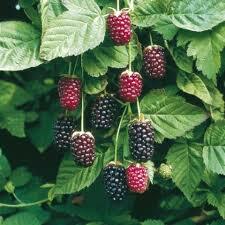 The boysenberry plant prefers full sun or partial shade. Boysenberries prefer loamy, sandy soil but many types of soil work fine.